The Count of Monte Cristo was once Edmond Dantès, a young man engaged to the lovely Mercédès. After being falsely accused of crimes he did not commit, he is sentenced to life in prison. Now, Dantès has escaped from prison, and he is traveling as the Count of Monte Cristo while searching for his revenge. The story begins in a town where he learns of the plight of a small boy, Marco, through a compassionate young shopkeeper named Rebecca. Marco's mother left the family and his father died, so now he lives alone while working on his father's life project, an Auto Organ Orchestra. The Count of Monte Cristo may be searching for revenge, but he can also help others on his way! 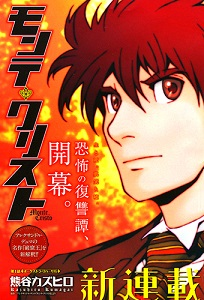 A two volume side story to Ns' Aoi which features the earlier life of Misora Aoi. After Aoi's mother died, she eventually lost custody of her little brother to her estranged father. All alone, Aoi moved from her home in the country to a dorm in Tokyo to attend nursing school. She's going to have a lot of her plate, dealing with the classes, roommate issues, and everything else. When Princess Diana was born, oracles predicted that her fate was one of destruction and disorder. Despite this, she was a sweet child who spent much of her time caring for the sick at the local monastery. Her father left her alone until her twelfth birthday, but then he sent men, led by the knight Saifar, to have her killed. Diana survived, due to the help of a few loyal friends, including the tomboyish fighter, Attica. Now, Attica and Diana travel together, and their home kingdom has begun the military conquest of neighboring lands. This story begins around the time of the Heiji Rebellion (1159-1160), with the conflict between the Genji (Minamoto clan), led by Yoshitomo, and the Heike (Taira clan), led by Kiyomori. 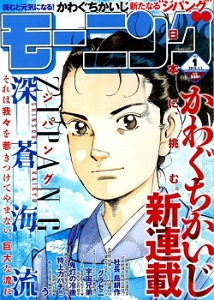 Yoshitomo's third son, 13-year-old Yoritomo, goes into battle against the Taira clan alongside his father and two older brothers. 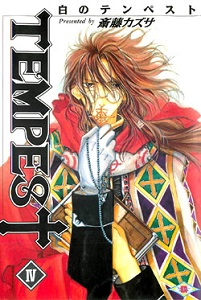 The events of this disastrous battle will change the course of Yoritomo's life, and eventually lead to his becoming a prominent figure in the history of the period. 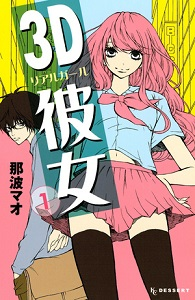 3D Kanojo had some really interesting, believable characters. 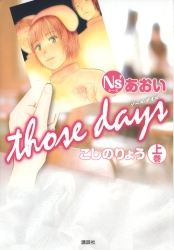 Ns Aoi Those Days seemed like a good story, though it starts out incredibly sad. If you haven't done so already, check out the scanlations of the mangas from previous shout outs which have been recently scanlated: historical comedy Nobunaga no Chef (MH link), action sci-fi Yuusen Shoujo - Plug-in Girl (MH link). Copyright (c) 2007-2017 by MangaHelpers. All rights reserved. All times are GMT . The time now is 16:05.